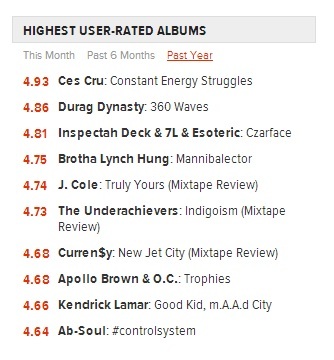 'Solid First Outing' – 'Constant Energy Struggles' Reviewed on HipHopDX.com, Earns Highest User-Rating In Past Year! 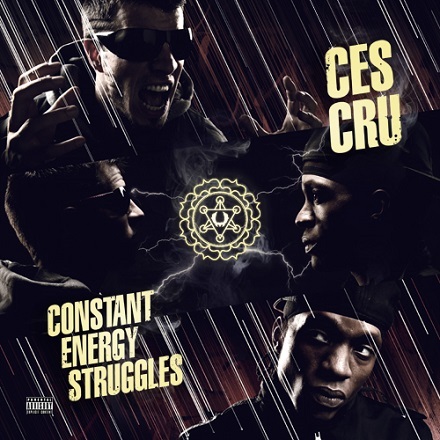 Between rocking sold-out crowds on the Independent Powerhouse Tour 2013 and kicking off the era of “Strange Hop” with the freshly-released Constant Energy Struggles, CES Cru is quickly earning its stripes as one of the hardest duos around – and critics are taking note. One thing that’s immediately apparent is that these guys can rap. And they enjoy doing it. Their first singles (“Lotus,” “When Worlds Collide,” and “Juice”) reflect that. There’s a Bad Meets Evil quality to it, not in the sense that it’s another black and white rapper pairing, but it’s two emcees spitting rapidly for the sport with a hint of friendly competition in it. The review doesn’t go without pointing out a few flaws that are sure to spark debate, but with a complete assessment, CES Cru earns a 3/5 ranking for their big debut. Click here to read the review in its entirety. CLICK HERE TO PURCHASE CONSTANT ENERGY STRUGGLES! What would YOU rate this album? Give us a shout in the comments!